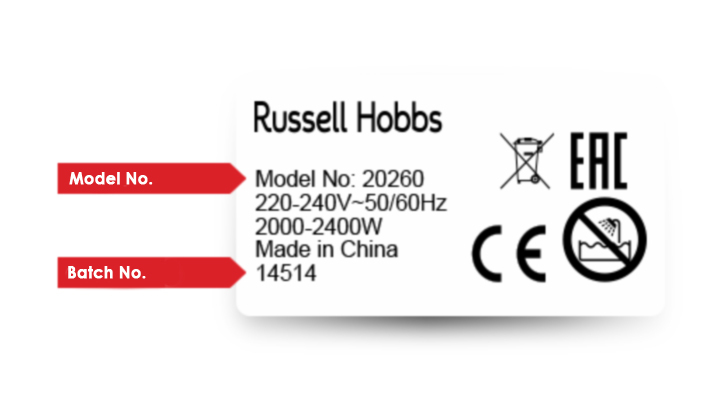 Russell Hobbs has identified that in a small number of isolated cases, Russell Hobbs irons manufactured between October 2012 and June 2013 and bearing the model numbers listed below carry a risk that the flex may fail, potentially resulting in injury. EPE International have supplied only the following Irons 15081, 18651 & 20280 from the affected models above. Model numbers are located on the underside of the heel of the iron where you will find a rectangular shaped label containing various product manufacturing information. If you have one of the iron models listed above, you will also need to check the batch number (as shown on the below image). If your batch no. starts with 045 through to 365 and ends with 12 or starts with 001 through to 195 and ends with 13, then you have an affected iron. Any numbers outside this range are not affected. If you have stock of the affected models 15081, 18651 & 20280 purchased from EPE international in your retail outlet or warehouse, please contact EPE International returns on 0844 800 8055 or returns@epeinternational.com to arrange uplift and credit. Please ensure you are only returning stock from the affected batches as credit will not be issued for stock that doesn’t fall within the recall. End users who have an affected iron should be advised to stop using it immediately and to telephone the Russell Hobbs customer service department on Freephone 0800 307 7616 (or 0333 103 9663 if calling from a mobile) who will advise on how to return irons for a replacement or full refund of the purchase price. EPE GROUP, the UK’s leading distributor of branded small domestic appliances, has made two key appointments as it looks to grow its business across All Ireland. Jody Hughes, who has more than 25 years experience in the electrical industry, has joined Bradford-based EPE Group as its regional sales manager. 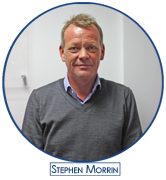 Steve Morrin, EPE Group’s trading director, has worked for a number of companies in the Irish market over the past two decades. Geoff Eden, EPE Group’s sales director, said that the company is looking to add cook shops and hardware stores, as well as independent and multiple electrical retailers and electrical buying group to its network across the island of Ireland. EPE Group, which operates from a 50,000 square feet warehouse in West Yorkshire, is the exclusive UK distributor for a number of SDA brands including AEG, Kärcher and Philips. Harry Singh, EPE’s Group’s investment and marketing director, said: “With a strong portfolio of branded small domestic appliances, EPE Group is looking to grow its business across the island of Ireland. “I would encourage independent electrical retailers and cookshop owners to look at their product mix – the SDA market is a good market to be in, as every main SDA category is growing. Mr Singh added: “We also encourage buying groups to engage in discussions so that EPE can help to increase sales for members. 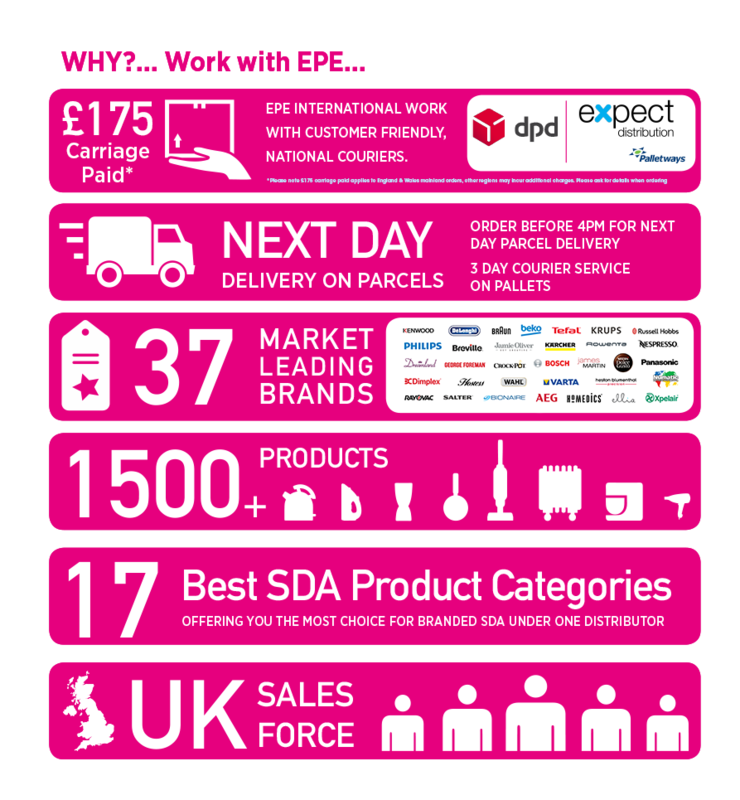 EPE International are fully committed to helping Independent retailers compete in a busy market. As a major part of this commitment, EPE International are delighted to announce our 2014 Black Friday deals. This year’s Black Friday is on Friday 28th November. For those who aren’t aware, Black Friday has long been a big shopping day in the USA. In fact it’s the busiest shopping day of the year over there for two key reasons. Firstly, it’s the first Friday after Thanksgiving and lots of people have the day off work, and thus secondly, retailers choose this day of merriment to offer their best bargains of the year. The result is often newsreels full of CCTV footage of desperate shoppers pulling each other’s hair to get to the impossibly priced small kitchen appliances, heaters and pressure washers. 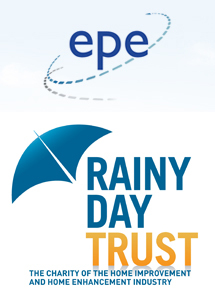 EPE International is the latest company to support the industry charity the Rainy Day Trust as partners. EPE is proud to join the Rainy Day Trust in their work to help support the people in the home improvement & home enhancement industry, that are going through difficult times and need a safety net when life doesn’t go to plan. As a company we feel that family is a big part of our business and defines the company. The Rainy Day Trust was founded in 1843 offering support to those who have worked in the industry in times of need. The only qualifying criteria is that applicants must have worked in a relevant industry sector for a minimum of 5 years during their careers. 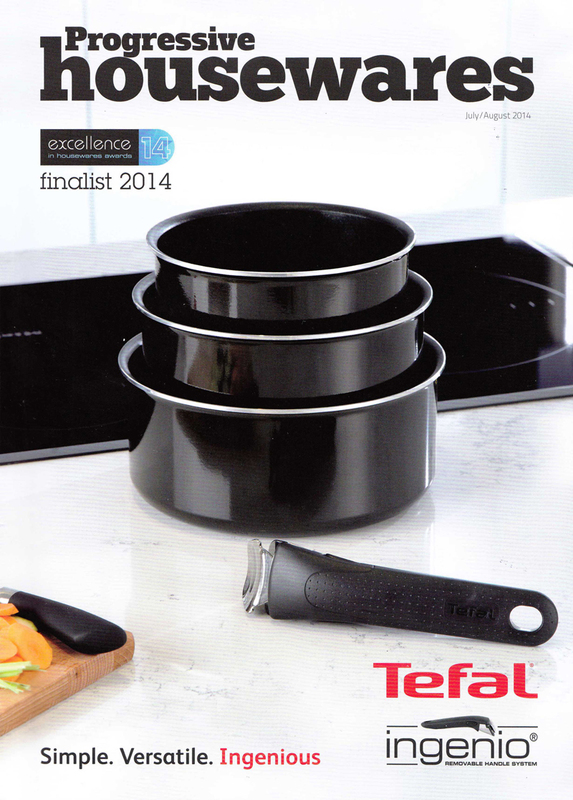 EPE feature in Progressive housewares magazine for the July-August issue. Don’t miss this great chance to come and see us at the NEC Autumn Fair 2014 the years largest home & gift event, with 300,000 NEW product launches, FREE seminars and trend presentations to benefit your business, and unmissable Spring Fair exclusive promotions. 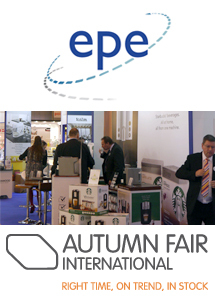 EPE are exhibiting at the NEC Autumn Fair from the 7 – 10 September 2014 , you can find us in Hall 3 at stand 3F20 – G21, why not stop by for a chat with one of our sales representatives to hear about the latest deals we have to offer? With all NEW product lines and EPE exclusives we will be showcasing the very best 2014 has to offer, not forgetting our premium product portfolio. 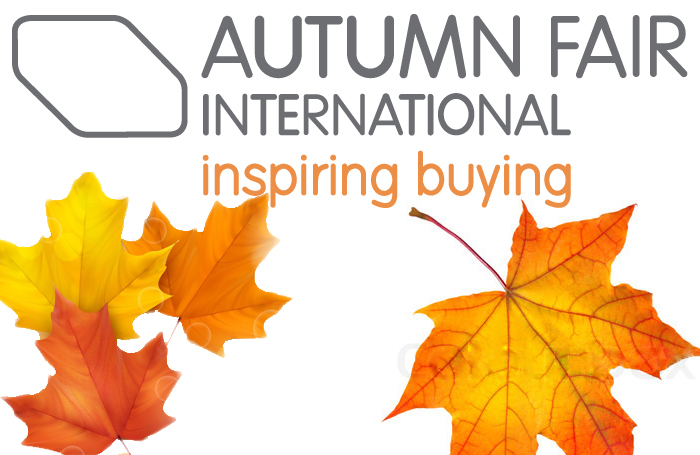 Don’t miss this opportunity to meet face to face with the UK’s leading Branded SDA distributor, we are proud to present to you the most premium brands and the most choice under one distribution in the UK all under one roof at the NEC Autumn Fair. EPE Group, the leading distributor of branded small domestic appliances, has been appointed the exclusive distribution partner for the new Braun range of food preparation and laundry care products. Noel Pamment, EPE’s managing director, said: “I am delighted to enhance our portfolio with the addition of the Braun brand. 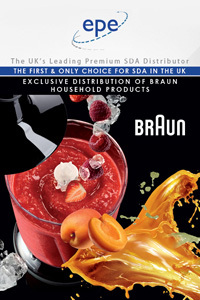 Braun is a much loved brand in the UK and the brand has 80 per cent awareness in the UK. Harry Singh, EPE’s Group’s investment and marketing director, said: “The Braun brand is more than 90 years old – adding it to the portfolio of brands that we distribute shows our commitment to the SDA market. EPE Group, the leading distributor of branded small domestic appliances, has appointed Geoff Eden as its new sales director. With more than 30 years experience of the homewares, Mr Eden has previously worked for a number brands over the years, with the position of sales director held at Geo.Wilkinson, SodaStream, and Curver. Mr Eden said: “EPE has a massive plus in the number and breadth of premium brands it represents. Our customers should use the major brands to drive their individual businesses. Our portfolio of brands will drive footfall into stores and give increased sales. 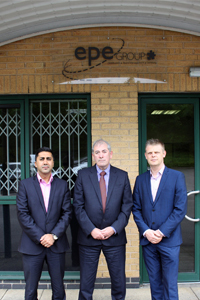 Noel Pamment, EPE Group’s managing director, said: “I am delighted to welcome Geoff to the team at EPE, which is growing year-on-year. EPE will be exhibiting at the Exclusively Housewares Show 2014 (Business Design Centre, London) from the 10th – 11th of June, you can find us at stand Numbers 455-456 were we will be showcasing new lines from Ascaso & Graef, Demoing the Verismo coffee system by Starbucks & We will also be showing a sample of the Bugatti Italy range. So please stop by for a chat as we are always happy to meet customers old & new! EPE Group, the leading distributor of branded small domestic appliances, has reported that this week’s Euronics Showcase was a successful event, as the company looks to build on the progress it has made in the independent electrical channel. The company invested in a bigger stand at this year’s Euronics Showcase, – making it the largest stand devoted to small domestic appliances at the event. Harry Singh, EPE’s Group’s investment, sales and marketing director, said: “I am delighted that our increased investment in the Euronics Showcase has paid dividends, with business conducted at the Showcase up 10 per cent on the event in 2013. EPE Group, which operates from a 50,000 square feet warehouse in West Yorkshire, is the exclusive UK distributor for a number of brands including Kenwood, De’Longhi, Kärcher and Philips. The company also distributes a wealth of brands including Bosch, Panasonic, and Tefal, along with a number of managed brands including Ascaso, Bugatti Italy, Graef and Verismo by Starbucks. Demonstrators were on hand to show visitors to the stand products from Kärcher, Philips and Verismo by Starbucks. Mr Singh said: “According to figures from GfK, the market for branded premium small domestic appliances is showing strong growth and it’s important that members of Euronics take their share of this dynamic market. 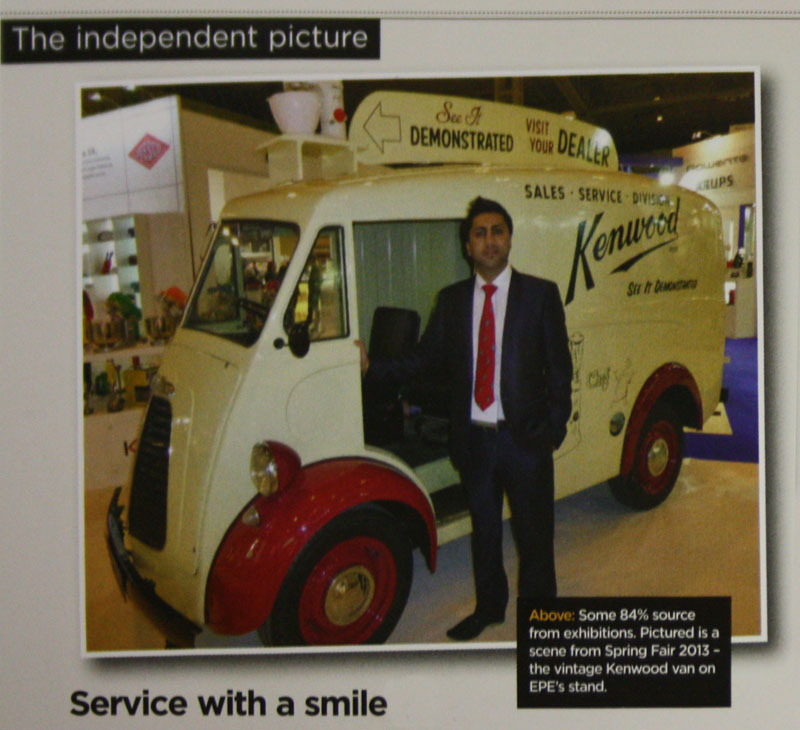 Mr Singh continued: “At the Euronics Showcase, EPE staff were on hand to talk members through the different brands. Please click more to see the photo gallery from the show. EPE are delighted to announce that this years NEC Spring Fair was another huge success and it was a pleasure to see so many customers, new and old on the stand chatting to our sales representatives over a fresh coffee prepared on the Verismo Coffee System by Starbucks. In addition to this, over the 5 days we worked closely with the brands demonstrating a range of premium branded products and offered competitive prices on many products from our portfolio. We look forward to seeing what success this year brings. Please click more to view the NEC Spring Fair Gallery. 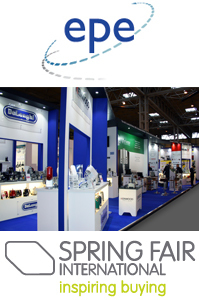 Spring Fair International is the most vital buying event in any retailer’s calendar. You will keep up with the latest trends and gain crucial retail advice that will set your business apart in 2014. 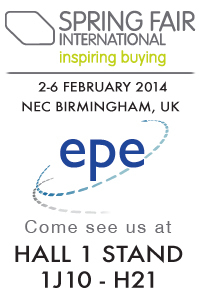 EPE International will be exhibiting at Spring Fair 2014, 2-6 February 2014. Customers new and old can expect to see a select choice of brands and product lines from our extensive portfolio, Including such brands as Philips, Kenwood, Delonghi, Ascaso, Bugatti, Bosch, Breville, Crockpot, Dimplex, Dreamland, Graef, Kärcher, Krups, Nespresso, Panasonic, Russell Hobbs, Verismo by Starbucks & Tefal. 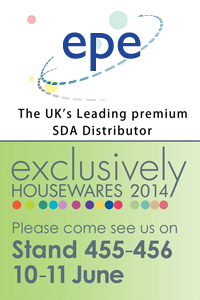 Visit us on the stand & stock your shelves with the newest products in time for all major seasonal events! 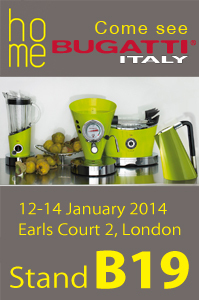 Bugatti Italy will be exhibiting on stand B12 at HOME 2014 between the 12th and 14th January at Earls Court 2, London. Home, showcasing the very best in new homewares and interior accessories. Bugatti Italy presents a world of new emotions and feelings with extraordinary creativity that ranges from classic and refined styles to the highest level of modern technological design. Using a team of specialist designers, Bugatti Italy offers a comprehensive range of products to suit all tastes. Bugatti Italy take a basic, everyday item, evaluate and modify it to present a brand new concept, helping to make the experience of buying kitchenware and gifts a new world to discover. Visit the stand & step into the world of Bugatti Italy.